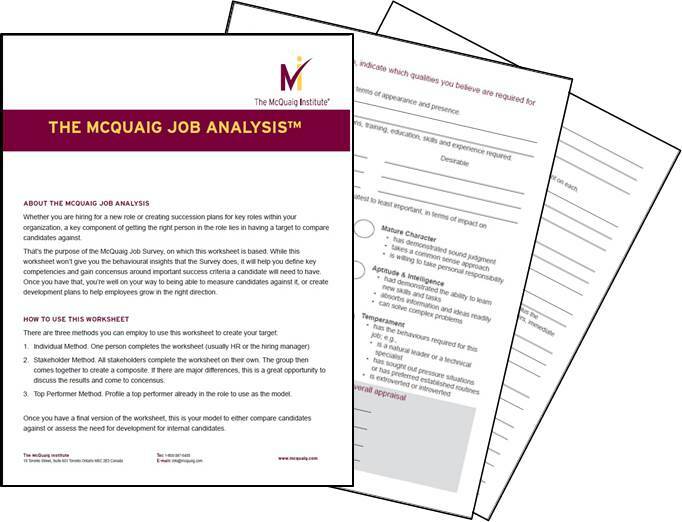 The McQuaig Job Analysis is a discussion document that helps stakeholders identify key factors required for the role. 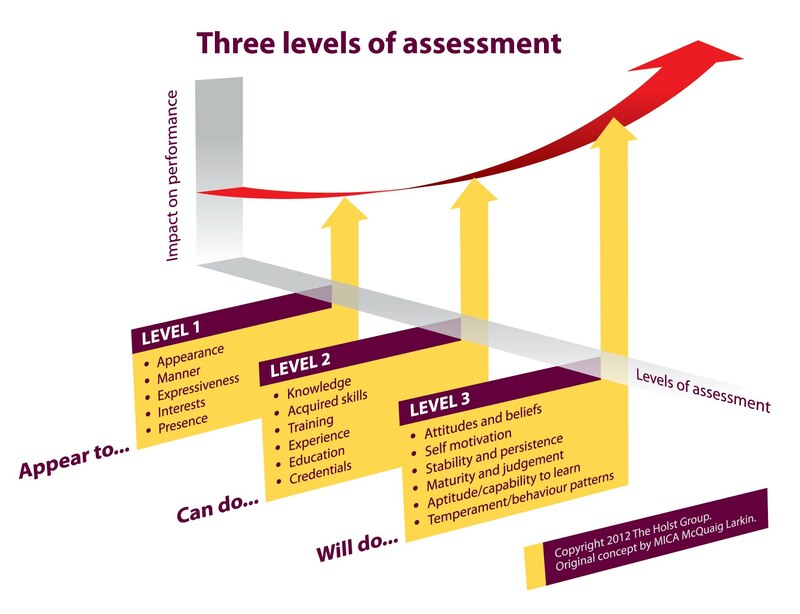 It allows users to consider and rank needs based on the Three Levels of Assessment. Stakeholders are encouraged to consider what skills, qualifications and experience a successful candidate might need. They are also asked what attributes, qualities and behaviours would best suit to needs of the role. Test definitions e.g. what does office ‘support’ actually mean? Groups or individuals responsible for recruitment should complete The McQuaig Job Analysis.